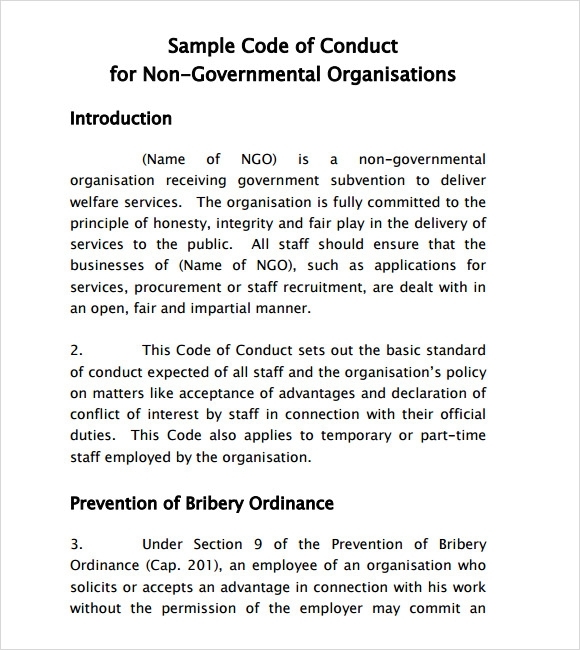 This sample of organizational code of conduct is a sample which also lists down the code of conduct which a person should while working within the company. The various sections which is dealt with in regards to organizational code of conduct includes, general employee conduct, conflicts of interest, outside activities, employment, and directorships, relationships with clients and suppliers: organization funds and other assets and much more. 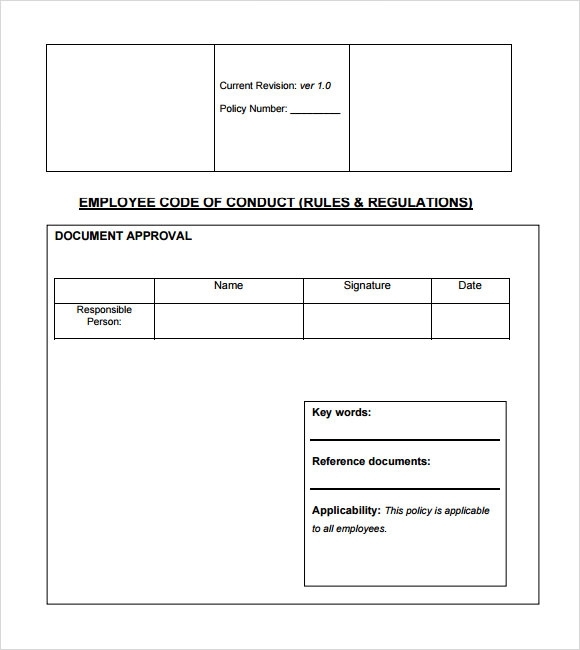 This sample of employee code of conduct example is a simple template where the names and designations of the persons responsible for training the employees regarding the code of conduct rules. 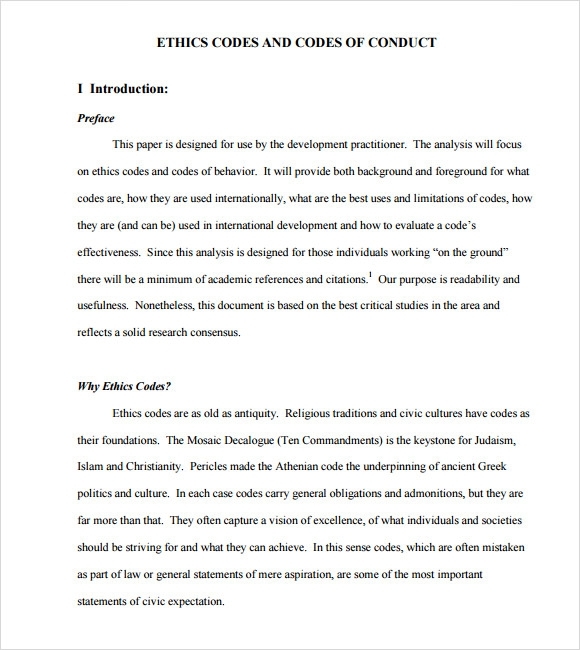 In the second section the sample explores the various sections related to scope of policy, objectives, period of operation, definitions, intent of policy and various subsections in the code of conduct regulations. 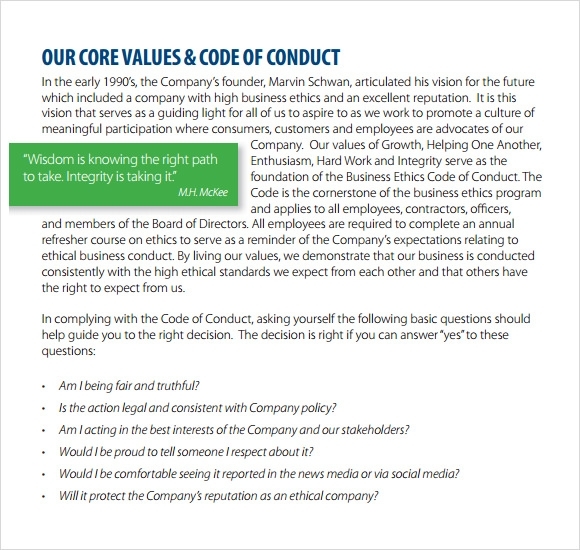 What Is The Importance Of A Code Of Conduct Policy In A Company? A code of conduct defines the behavior and expectations of both the owners as well as the staff of a company. Having a code of conduct guarantees that an employee has the legal right to protest against any kind of unethical behavior within the scope of his work. It also guarantees that a code of conduct policy would influence their performance and commitment to the entity’s system of control. 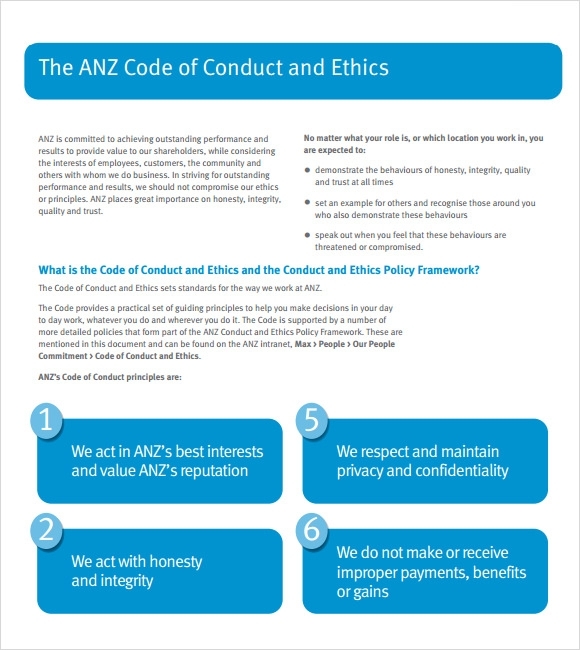 What Is The Process Of Implementing A Code Of Conduct Policy? What Are The Various Topics Which Are Dealt With The Code Of Conduct Policy? There s a list of various topics which are addressed in code of conduct policies. The subjects varies from one company to the other, however some of the basic subjects which are dealt with includes, conflicts of interest, personal and professional integrity, harassment, fraud, customer relation, vendor relations, use of company property, expense reimbursement, discrimination and confidentiality.